In a 3-quart saucepan combines blueberries, sugar and orange juice. Mash berries slightly and cook over medium heat, stirring occasionally, until the mixture comes to a boil. Simmer 5 minutes.Remove from heat and puree in a food processor or blender. Push mixture through a strainer with the back of a wooden spoon. Cool the mixture. 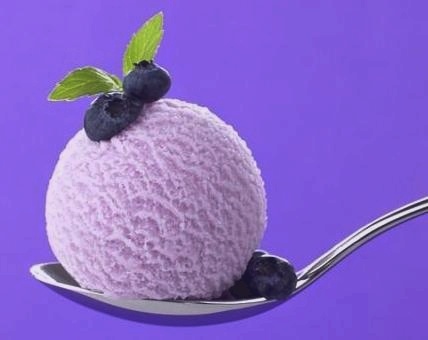 In the chilled canister of ice-cream maker combine blueberry mixture, cream and vanilla. Freeze according to manufacturer’s directions. Blend in blender just before putting in machine. Simple recipe, great ice cream. Nice texture, nice flavor (not too sweet). nice post my friend!be success for you!